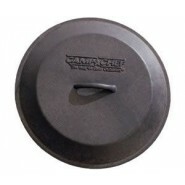 Camp Chef Dutch oven Tripod - 50"
If people have been using cast iron cookware for hundreds of years, there must be a reason behind it, right? Actually, there are several. 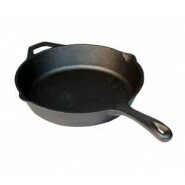 Cast iron has proven itself over and over again as reliable, versatile, and durable cookware. So if youâre considering making the switch to cast iron, hereâs what you should consider. 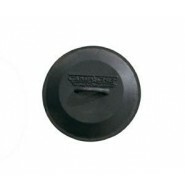 Cast iron is extremely durable. It will last a lifetime if treated correctlyâand in some cases, even longer than that. 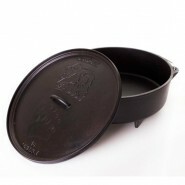 In some families, cast iron cookware is passed down from one generation to the next as a functional family heirloom. The reason cast iron lasts so long is because iron itself is a very tough material. On top of that, cast iron is one of the few types of cookware that actually improves over time. Instead of wearing down, cast iron builds up a seasoning over the years that makes your cooking experience easier and easier. You wonât find that from any of your aluminum pots and pans. While your cast iron skillet might not ever be as non-stick as a synthetic coating, it has the advantage of being all-natural. Itâs nothing but polymerized oil that prevents food from sticking to the iron. This means you donât have to depend on unfamiliar chemicals or dump a lot of oil into the pan when you want to cook food that would normally stick. In other words, you get to cook (and eat) healthier! When it comes to getting hotâlike, really hotânothing does it better than cast iron. 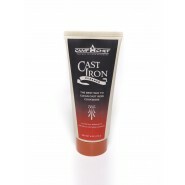 The heavy iron has a very high heat capacity, meaning it takes a lot of energy to heat it up. Once a cast iron pan is heated to a given temperature, it has significantly more energy stored than, say, an aluminum pan. Thatâs what makes it awesome for searing food. The iron can hold up to higher heats without warping, and it will maintain a steady temperature for far longer than any other material. While some would tell you that cast iron maintenance is one of its disadvantages, it can actually be quite easy (and, therefore, an advantage) once you learn how to do it properly. A well-seasoned cast iron skillet doesnât need to be seasoned with every use. In fact, with light, daily cooking, you may only need to rinse it, wipe it clean, and let it dry. 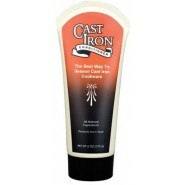 For more information on how to take good care of your cast iron, check out our article here. 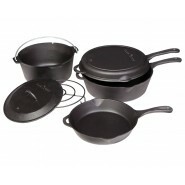 With a single piece of cast iron cookware, you can sautÃ©, sear, simmer, and even bake. 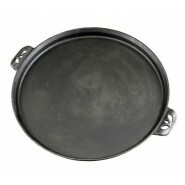 If you want to minimize the number of pots and pans you need in your kitchen, cast iron is a must. You can do almost everything with a good skillet. Likewise, Dutch ovens can be just as useful for different meals. 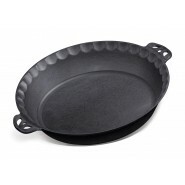 This versatility makes cast iron a fantastic addition to any home kitchen, and an absolute must for outdoor cooking. 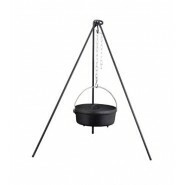 If you're convinced that cast iron cookware is the way to go for your indoor and outdoor cooking, you won't find a better variety than what we have here. 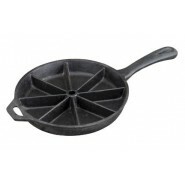 Check out our cast iron collection for skillets, Dutch ovens, fire irons, bakeware, and more. Most of us go camping to escape the stress of the daily grind. It's a break from the pace of day-to-day life and a chance to relax in the peace of nature. However, campsite cooking can sometimes bring its own set of headaches. Limited food options, a lack of cooking gear, and the hassle of trying to prep food in the wilderness could quickly turn your camping trip from a vacation into a nightmare. But that's why we've come up with this list. Gone are the days of cheap hot dogs on roasting sticks. 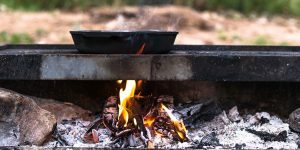 Follow our camp cooking tips below, and enjoy a delicious camping trip. Plan your meals ahead of time. This is usually a no-brainer, but it's worth mentioning. Measuring ingredients and packing items specific to each meal together can save a lot of time. Use zip-lock bags to keep dry ingredients dry and wet ingredients from leaking. Freeze your meat. This is two-fold tip. First, the meat will keep longer, which is perfect if you're camping for more than one night. This mean you won't have to eat all the meat on day one to keep it from going bad. Take fresh meat for the first day and frozen meat for the following days. Second, the frozen meat is a great way to help keep the temperature down in your cooler. Always keep a supply of aluminum foil. Just a good idea. Aluminum foil can keep food warm, cover food for later use, or provide a method of cooking over the open fire. 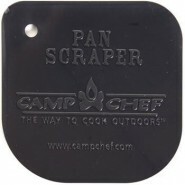 It's a must-have for campsite cooking. Use heavy-duty aluminum bags. These are great for quick and easy cooking. They take almost no room at all and allow you to mix your meat and vegetables together. 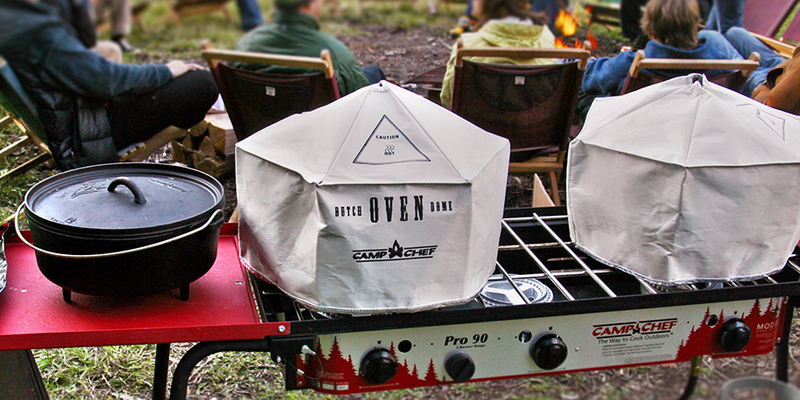 Aluminum bags can be used to cook on a camp stove, oven, or over the fire, which keeps your cooking options open. Also, clean-up is very easy. Chop your meat and vegetables before you leave. Prepping food at the campsite can be a pain. Doing all the work at home will save a huge amount of time and help avoid the mess at camp. Chopped meat and vegetables should be stored in plastic bags as mentioned above. This will avoid contamination and keep your vegetables nice and dry. 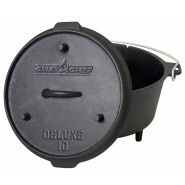 Select and take only the cookware you plan to use. By doing this you can make sure that you dont forget important pots, pans, skillets, grills, or whatever you use to cook with. 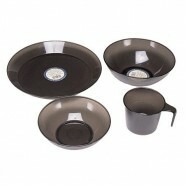 Keeping your cookware down to only what you need will save space and time when it comes to mealtime. 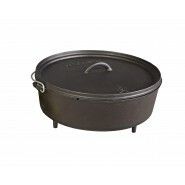 We recommend bringing a cast iron skillet or Dutch oven as your go-to cookware. Cast iron is incredibly durable and versatile, so you can easily use one dish for all three meals. Heat your cleaning water while you eat. 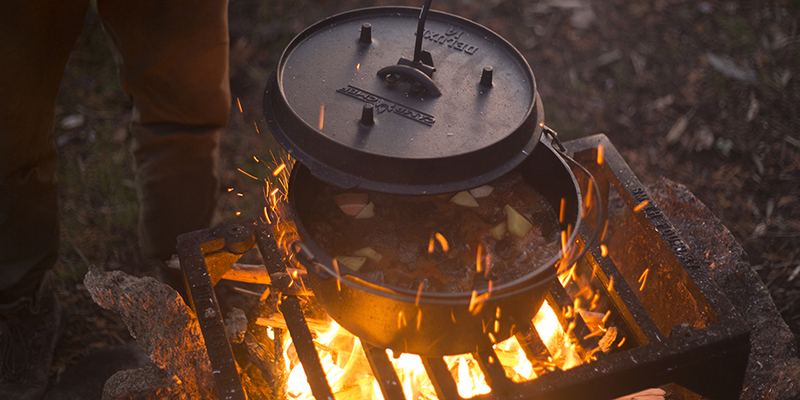 Once you have completed the meal, fill a hot water pot with water and start it warming on your camp stove or over the fire. This way you won't have to wait for it to warm up for cleaning after your meal. Put everything you can into squeeze bottles. Pancake batter, scrambled eggs, condiments, oils, dressingsâyou name it. Putting these foods into squeeze bottles will save you from using extra utensils and make cooking much easier. Plus, if the bottle ever gets cold, you can simply place it in a pan of warm water. No squeeze bottles lying around the house? You can also use disposable water bottles instead. Test your camp stove before you leave. Really, nothing can be worse than finally getting to your destination with a bunch of travel-weary people who are ready to eat and then discovering that your stove won't light. Make sure your stove is clean and that your propane tanks are full (or full enough). 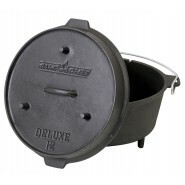 Need a reliable camp stove? Check out the Pro 60X or the Pro 90X. Coat the outside of pots and pans with dish soap before cooking. This helps immensely with clean up. Any food on the outside of the pan simply falls right off when you wash it. Just make sure you don't apply any soap on the surfaces you'll be cooking onâthat wouldn't taste great. All you need is a thin layer. Keep food locked up. Nobody wants animals picking through their food, especially bears. Either keep your food in a chuck box, high in a tree, or in your vehicle. This will protect you and your family, as well as the local wildlife. Always cover food while cooking. Covering pots and pans will not only keep insects out of your food, but it will also help your meals cook faster. 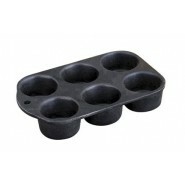 This can also save you space on packing, as you won't need to bring the lids to all your cookware pieces. Use a little cooking oil on the camp grill. Natural cooking oil will keep your food from sticking to your grill and help keep your cast iron seasoned. Plus, it will keep clean-up to a minimum by preventing a bunch of burnt-on food. 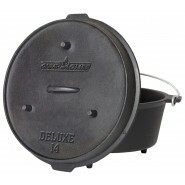 Try cooking with your Dutch oven on your camp stove. 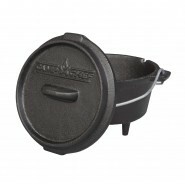 Dutch ovens aren't only for over-fire cooking or charcoal briquettes. 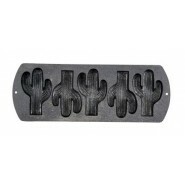 They're also great for stoves with a heat diffuser plate. You don't have to wait for charcoal to heat up, there's no ash to clean up, and you have total control of the heat output. For breads and other recipes that need a little extra heat from the top, try a Dutch oven cover to create convection circulation. Youâve probably heard about the benefits of cooking with cast iron: the high heat, the versatility, the durability, and especially the longevity. If you treat a cast iron skillet or Dutch oven right, it could last you a lifetime. 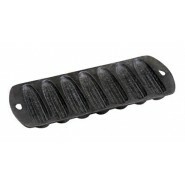 However, you may have also heard that cleaning and maintaining a cast iron piece is difficult and inconvenient. We are here to dispel that rumor. In fact, cleaning cast iron is almost easier than washing regular dishes. 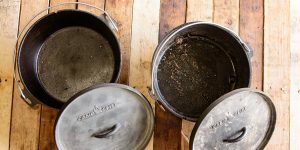 Read on to find out how to properly clean and maintain your cast iron cookware, so you can keep cooking for years to come. 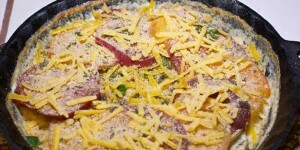 While skillet or Dutch oven is still warm, rinse with warm water. Avoid using cold water on a hot dish, as this can strain the iron. 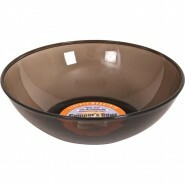 Use a dish brush to scrub and scrape the inside until any food residue is gone. Pat dry with a towel or paper towel and let dry in an open air rack. 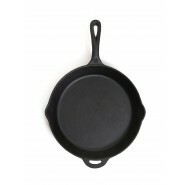 Make sure your cast iron is absolutely dry before storingâexcess moisture may lead to rust. 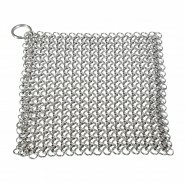 While the cookware is still warm, try to remove all food bits with warm water and a plastic pan scraper or chain mail scrubber. 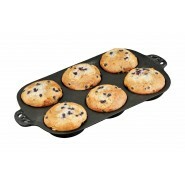 These wonât scratch your panâs seasoned finish, but theyâre tough enough to scrape off stubborn residue. Fill the skillet or Dutch oven with warm water and set on a stove to heat. Bring the water to a simmer and add 2 teaspoons of Cast Iron Cleaner or food-grade oil. Rub the cleaner in with a plastic brush or clean dish rag. If there is still any burnt-on food, you can loosen it by letting the pan simmer with the water and cleaner for several minutes then scrubbing. You can also try boiling the water for about 10 minutes. Rinse well and pat dry with a towel. While the cast iron is still warm, spritz every surface a few times with Cast Iron Conditioner or pour a little bit of food-grade oil and dab it into the metal with a paper towel or clean cloth. Wipe off any excess (you donât want your pan to be dripping in oil). Allow to dry and cool before storing. 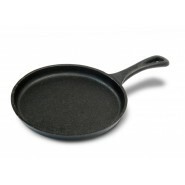 If your cast iron cookware has rusted or its seasoning has been damaged, donât panic. There is still hope for your favorite skillet or Dutch oven. It just may need some extra care to get back to cooking shape. This process is called restoring or re-seasoning. 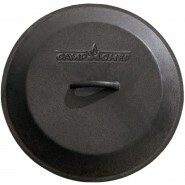 Follow our guide below or watch the featured video from Camp Chef to restore your cast iron cookware. Heat up your cast iron piece in a self-cleaning oven to strip the seasoning. If your oven doesnât have a self-clean setting, you can heat your cookware to 450° F for 1-2 hours. Let the cast iron cool a bit before trying to handle it with heat guard gloves. Use a steel wool pad to scrub any rust off the surface of the cast iron. For extreme cases, you can also use a wire wheel brush on a drill to clean the rust away. After you have removed all the rust and stains from the cookware, and while it is still warm, apply a thin coat of Cast Iron Conditioner or food-grade oil. 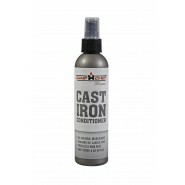 For best results, squeeze some conditioner onto a lint-free cloth and rub it onto every surface of the cast iron. 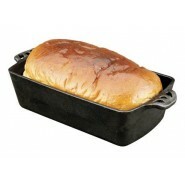 Place the cast iron piece into a pre-heated oven, grill, or smoke vault, and bake it at 450° F for another 30 minutes. And just like that, your skillet or Dutch oven will be ready to go. 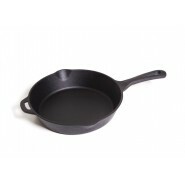 Cleaning and seasoning your favorite cast iron is simple; and if you follow our tips, you will have an excellent collection of cookware for quite some time. Let us know if you have any questions in the comments below. 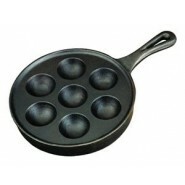 Then check out our variety of pre-seasoned cast iron cookware today! 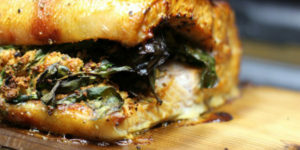 Chef Gary House over at Cooking-Outdoors.com has come up with another great, easy, and tasty recipe. He has combined the goodness of potatoes and tomatoes all into one dish perfect for the main course or as a side dish to his Salt Crusted Prime Rib recipe. Whether you're making this as a stand-alone recipe or part of a full meal, we have no doubt that your mouth and stomach will enjoy it. 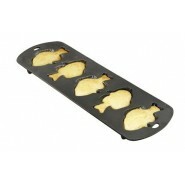 Cook fish the right way! On a plank of cedar wood. It's a simpler process, cooks it just right, and infuses a great background flavor. 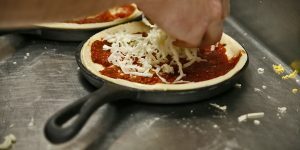 Gary House of Cooking-Outdoors.com has a great step by step recipe. Check it out!